Preheat your cooker to 500ºF, set up for direct grilling. Toss the cabbage and apples in a small amount of oil. Season with American Stockyard Washington Apple BBQ Rub. 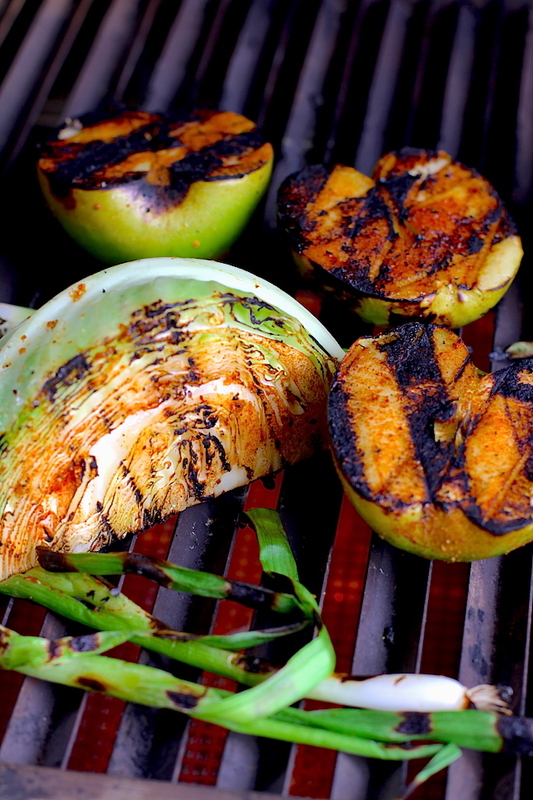 Grill the cabbage, apples and green onions until lightly charred. Slice the cabbage thin. Dice the apples. Slice the green onions. Combine all ingredients. Toss to incorporate. We at The Sauce certainly practice and encourage year round grilling, but that doesn’t mean that we ignore the changing seasons. 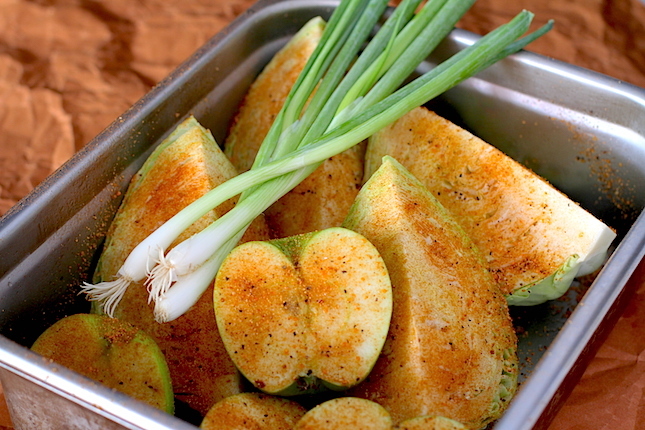 This grilled apple slaw is the perfect side for Autumn grilling. By using a tangy mustard dressing and incorporating Fall flavors like apples and hazelnuts, this classic Summer side dish can thrive for months after the leaves begin to change.